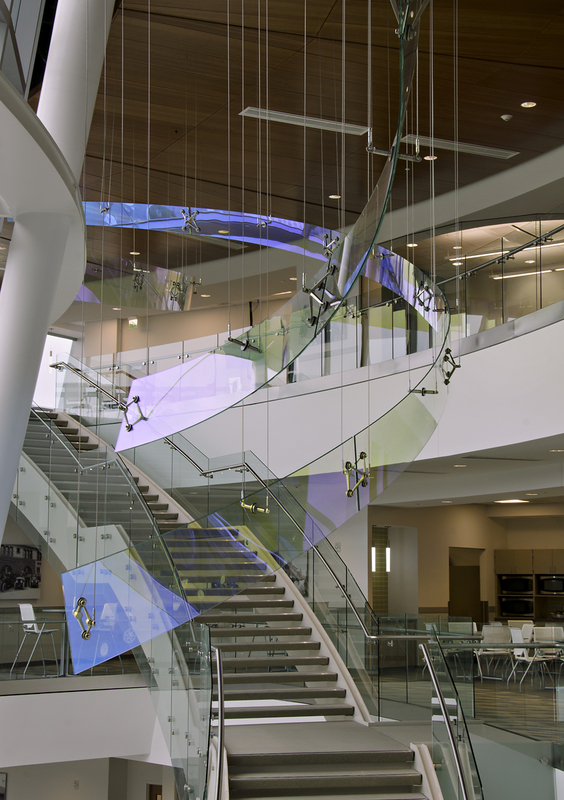 At once visually spontaneous and architecturally straightforward, the concept for the atrium artwork is a vibrant addition to the building design. 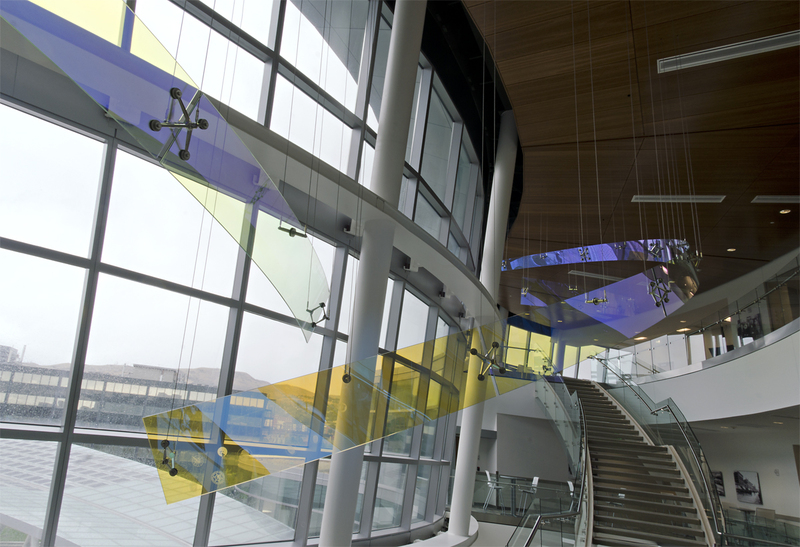 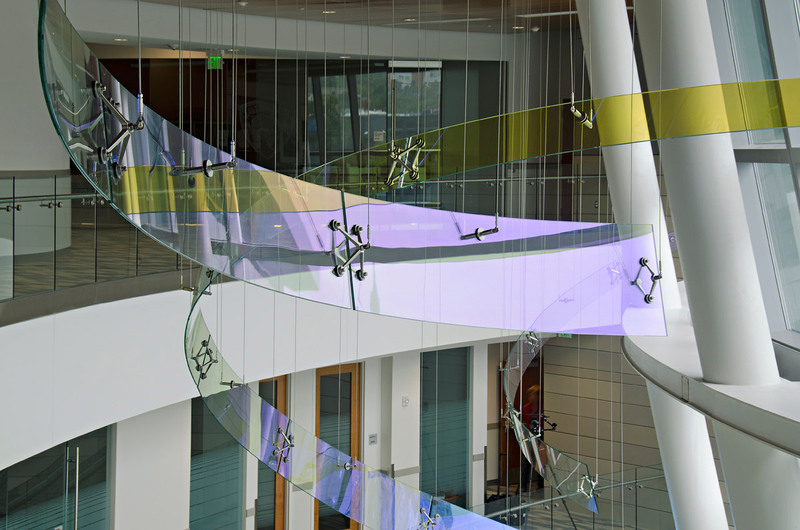 Three transparent rings, suspended in mid-air, visually interlock, tilt and float at different heights above the grand staircase. 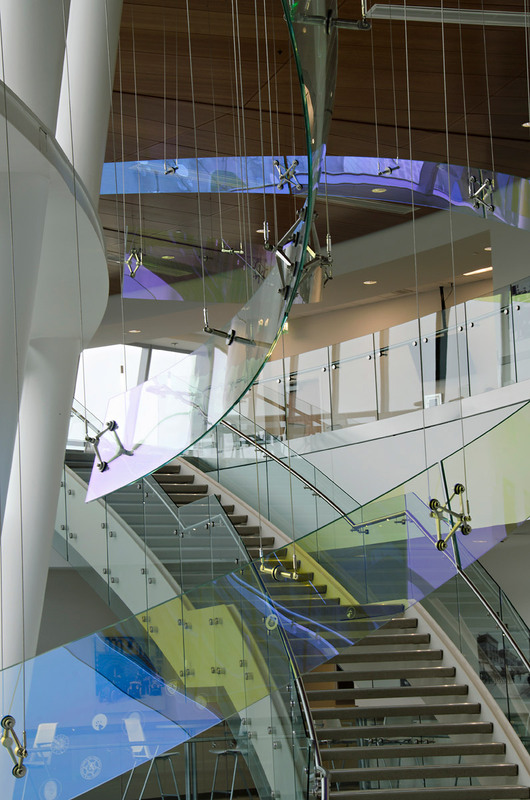 Each ring is made of a different artistic treatment, but the common denominator between them is a vivid dichroic effect.